These casualty figures are based on open source data. It is collected, analyzed and disseminated as part of the Civilian Impact Monitoring Project (CIMP) which publishes this information in support of humanitarian protection programs in Yemen. UNHCR leads the Protection Cluster within the UN’s humanitarian response in Yemen, with the support of the Danish Refugee Council (DRC) as co-coordinator. According to this latest report, the largest number of casualties in 2018 were reported in Yemen’s volatile west coast, which includes Al Hudaydah governorate, one of the epicenters of the conflict since June 2018. Almost half (48 per cent) of all reported casualties were recorded in this region, followed by Sa’ada and Al Jawf (22 per cent) which also remain a flashpoint of the conflict. “The report illustrates the staggering human cost of the conflict. Civilians in Yemen continue to face serious risks to their safety, well-being and basic rights. 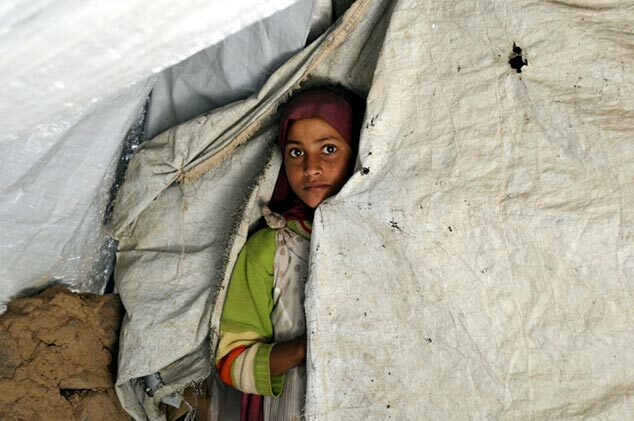 Exposed to daily violence, many live under constant fear and suffer in deteriorating conditions, turning in desperation to harmful coping mechanisms in order to survive,” said Volker Türk, UNHCR’s Assistant High Commissioner for Refugees. Thirty percent of civilians were reported to have been killed and injured inside their homes. Civilians were also killed while travelling on the roads, while working on farms and at local business, markets and other civilian sites. A fifth of all civilian casualties recorded were inflicted on children (410 deaths and 542 injuries). In addition to direct civilian casualties, the report also highlights the impact of armed conflict for civilians in accessing critical infrastructure and essential services. Partners on the ground estimate that attacks on civilian infrastructure restricted access to food, water, aid and health care for more than half a million civilian families. “UNHCR reiterates its call to all parties to the conflict to do their utmost to protect civilians and civilian infrastructure in accordance with international humanitarian law. Only a peaceful resolution of the conflict will halt further suffering and stem humanitarian needs,” said Türk. Four years of conflict in Yemen has created the world’s largest humanitarian crisis. It has left more than 14 million people in need of protection and forced nearly 15 per cent of the entire population, some 4.3 million people, to flee their homes. This includes 3.3 million people who are still displaced across the country, while one million have attempted to return home. UNHCR is responding to the needs of displaced Yemenis affected by conflict with emergency cash assistance, shelter assistance and other forms of aid. Since the beginning of the year, UNHCR has provided almost 230,000 displaced and conflict-affected Yemenis (33,000 families) with cash assistance. UNHCR has also been providing protection assistance and services to those at risk and vulnerable, including women, children, the elderly, persons with disabilities and survivors of gender-based violence.